This new era of F1 - the turbo hybrid, IS showing the brilliance of Newey`s performances in the V8 era. Vettel got the luck and championships of being in a Newey designed car, and the glory that came with it 4 WDC`s. When will Vettel wave his no 1 finger again? IF he ever WILL !! Will it B his index finger, the bird (middle finger) or BOTH ? !! Vettel will only win another world title if Ferrari build a rocketship. Even that might not be enough. They did last year and he still managed to **** up. He almost ****ed up in 2010 and 2012. I hope the rat retires from every single race this year. 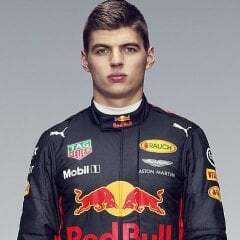 Ferrari should have signed Verstappen. He's clearly the best driver on the grid. >What are HIS standard`s ?? Look at the racer in him, did little. Look at Botas, is he now following the path of Rosberg? So by your own argument - Vettel is being held back by Ferarri machinery? Also, every other championship and race winning driver is just a passenger? Are being held back by machinery. comparing apples WITH apples NOT comparing apples WITH oranges. 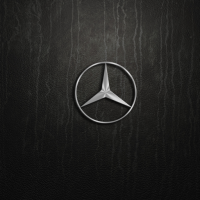 In that the ACHIEVEMENT from the SAME F1 era, currently turbo hybrid. Can NOT compare turbo hybid achievements WITH V8 achievements. It would be like tryin to compare 3/4 with 2/3 - NOT the same, it IS apples & oranges !! 9/12 (3/4) is OBVIOUSLY bigger than 8/12 (2/3) !! Vettel will only win another world title if Ferrari build a rocketship. Re: ... He literally had one bad year according to his standards and you guys are writing him off already? > NOT at ALL - Vettel IS writing HIMSELF off !! Vettel with another garbage performance. Bet he wishes he were in a Mercedes NOW ! !